Take only as directed--see Overdose warning. Use dose cup or tablespoon (TBSP). Do not exceed 4 doses per 24 hours. Adults and children 12 years and over: 30 mL (2 TBSP) every 6 hours. Children 4 to under 12 years: Ask a doctor. Children under 4 years: Do not use. 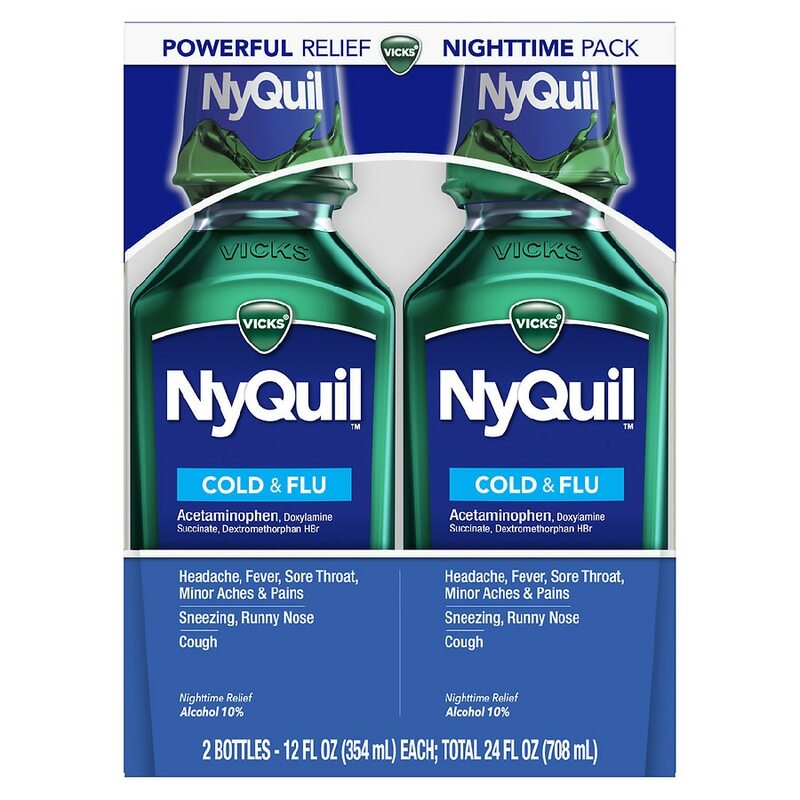 When using other DayQuil or NyQuil products, carefully read each label to ensure correct dosing. Each 30 mL dose cup contains: potassium 5 mg, sodium 37 mg.
Failure to follow these warnings could result in serious consequences. If pregnant or breast-feeding, ask a health professional before use. Keep out of reach of children. Overdose warning: Taking more than the recommended dose can cause serious health problems. In case of overdose, get medical help or contact a Poison Control Center right away. Quick medical attention is critical for adults as well as for children even if you do not notice any signs or symptoms. Tamper evident: Do not use if printed shrinkband is missing or broken. Temporarily relieves common cold and flu symptoms including cough due to minor throat and bronchial irritation, sore throat, headache, minor aches and pains, fever, runny nose and sneezing.